July is the so-called “Dog Days” of summer, yet many youth, high school and adult baseball and softball seasons are nearing their end for the year. 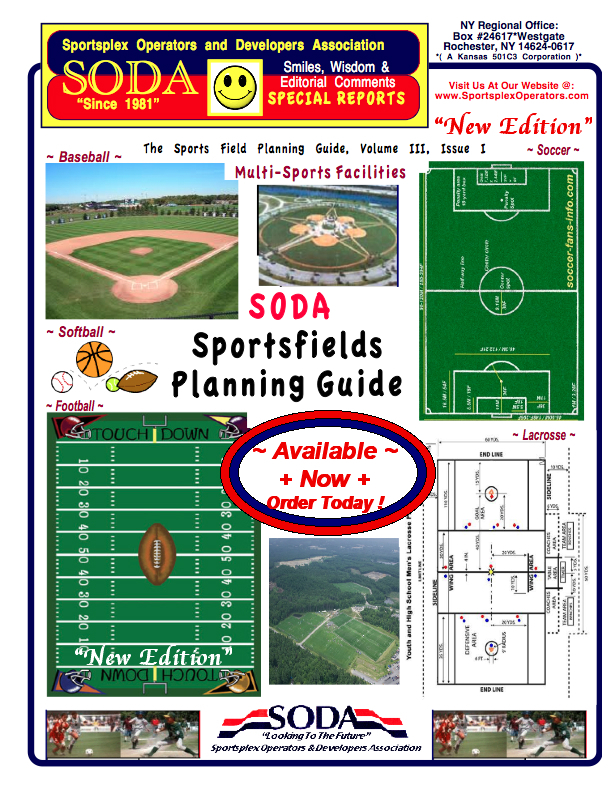 Now is the time to begin strategizing what renovations and improvements to make to those fields in the next few months in preparation for next season. IN STOCK: Ships within 24 hours! This is the best pitching rubber ever. You’ll flip for the Bulldog — literally. With a 3 in core center and 40 lbs of rubber — yes, FORTY POUNDS! — you get maximum durability and performance (2 in & 14 lbs for youth). When you need to, just flip the rubber to another side and you have even more long-lasting performance. Exclusive Bulldog Field Equipment Pitching Rubber, use bull10 during checkout (offer valid thru August 6). IN STOCK: Ships within 24 hours! Heavy-duty steel frame with oak handle. Extra sharp steel blade. 6″ or 12″ blade. Exclusive Infield Edger, use edge10 during checkout (offer valid thru August 6). IN STOCK: Ships within 24 hours! Better baseball from cleaner cleats. It’s an easy solution that’s easy to forget. They’ll run harder and faster with sure-gripping cleats. Don’t forget about this quick and easy in-game solution. This tough 13 x 13 rubber mat mounts by the dugout, on-deck circle or pitching mound, and cleans all types of athletic shoes. Exclusive Rubber Cleat Cleaner, use cleat10 during checkout (offer valid thru July 30). IN STOCK: Ships within 24 hours! Designed to penetrate compacted soil for overseeding wear areas on your field. 66″ heavy-duty aluminum handle, 9″ head. Exclusive Deluxe Overseed Enhancing Tool, use dlux10 during checkout (offer valid thru July 30). Who has the best ballpark food in Chicago, Cubs or Sox ? Conventional wisdom has it that the food at Guaranteed Rate Field is better than across town at Wrigley Field. But after tasting some 100 things at the ballparks, does that hold true? Fans sitting in Wrigley Field‘s outfield bleacher section are bums no more. Sure, the goat-inflicted curse vanished after last year’s World Series win, so tickets now routinely top $70 for seats lacking backs or protection from the sun, but I’m talking about what you can eat. The bleacher section at Wrigley contains the best ballpark food in Chicago. How can I be so sure? Just as we don’t know who will win Chicago’s Crosstown Classic (taking place Monday through July 27) until the Cubs and White Soxactually face off, I couldn’t just look at the menus and declare a winner. No, to decide who has the best ballpark food in Chicago, I had to actually visit each ballpark and eat as much as possible. If you haven’t been to a baseball game in 30 years, you might be shocked at what you can find at most concession stands. Gone are the days of choosing between peanuts and Cracker Jack. Now you can get filet mignon sandwiches and bison sausages, loaded baked potatoes and deep-dish pizza. There may be, in fact, too many choices. What sounded like a fun excuse to watch baseball during work hours, turned into a forced march through vast sausage-stuffed and cheese-laden menus in the hot summer sun. Turns out, there’s a lot of bad ballpark food. Paying wildly inflated prices didn’t make the food taste any better. But there was no better way to see which park actually served the best food. Before I began, the general consensus from co-workers, including Tribune restaurant critic and Cubs fan Phil Vettel, was that the White Sox’s Guaranteed Rate Field (and no, I can’t stand typing out that name either) had the better offerings. As a White Sox fan, I honestly kind of hoped that would be the case, too. It certainly has more of it. Walking around the lower concourse of the stadium, it’s hard to go more than 10 feet without bumping into a flashy food stall. I did find some worthy options at Guaranteed Rate, items I’d be more than happy to eat again. But the lows were really low. The food at Wrigley Field was far more consistent in the main concourse, and dramatically better in the bleacher section. As Cubs fans probably know, those sitting in the bleacher section are allowed to access the main concourse of Wrigley, but not the other way around. You absolutely have to have a bleacher ticket to check out the food options in the bleacher section. Wrigley bests Guaranteed Rate even when you exclude all of the chef specials at Wrigley’s Sheffield Counter, which includes a rotating menu from the likes of Rick Bayless, Stephanie Izard, Matthias Merges and others. Since the menu changes every few weeks, it didn’t make sense to include them here, because by the time this is published, there’d be another chef’s menu in its place. •Avoid anything served in an upturned plastic helmet. Sure, these gargantuan offerings look cool, but the food is inevitably messy and hilariously overpriced: $19 for nachos with unmelted cheese ? •If it sounds too good to be true, it almost inevitably is. You can pick up a filet mignon sandwich at Wrigley Field, which sounds like some seriously gourmet ballpark food but also costs a shockingly high $17. The meat is tender, but it’s smothered in oily cheese and a sweet sauce. Save that money for an actual steak dinner at a normal restaurant. •Avoid anything that’s pre-wrapped and under a heat lamp, especially burgers. At both Guaranteed Rate and Wrigley, these limp excuses for burgers looked haggard and spent. •Just say no to the veggie burgers! I know you think they are the healthier option, but both options I tried were travesties I wouldn’t wish on my worst enemy. •Consider the messiness factor. Both stadiums serve Buona Italian beef, which is a totally solid option. But it’s still an Italian beef, which is one of the messiest sandwiches in the United States of America. Consuming one without staining your shirt is an heroic act. Enough rules. Let’s get back to the competition. We already know Wrigley Field won the overall championship title, but let’s break down the specific performances into categories of five go-to ball game foods. Each winner is followed by numbers that correspond to the sections in the stadium where you can find the food. Irvine’s Great Park sports park with soccer stadium and fields, tennis and volleyball courts opens Aug. 5 ! The first 53 acres of the 194-acre Orange County Great Park Sports Park include a soccer stadium, six soccer fields, 25 tennis courts and five sand volleyball courts. IRVINE, CA — The Orange County Great Park, which some mockingly have called “not-so-great park” for its limited amenities, will soon get a huge boost. The city on Aug. 5 will host a grand opening of the first phase of the 194-acre Great Park Sports Park. The public will be able to enjoy activities at new facilities including a 2,506-seat soccer stadium (with berm seating for additional 2,500 spectators), six soccer fields, 25 tennis courts and five sand volleyball courts on 53 acres opening that day. Watch the aerial view video of the latest Great Park development. 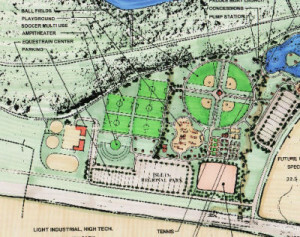 When completed, the sports park will also feature six additional soccer fields, 12 baseball and softball fields and lawn areas large enough to accommodate five more soccer fields. The sports park is the first major facility to open at the Great Park since a newly elected City Council in 2013 decided to change the course of the park development. Councilwoman Christina Shea said the Aug. 5 opening marks the beginning of many more features that will come to the Great Park in the next few years. The city has so far developed 200 acres of the land. Amenities include the Great Park balloon, a carousel, visitor center, kids rock play area, walkable historical timeline, a Hangar 244 event center, an arts complex, horticulture area and sports fields. The 1,300-acre former Marine Corps Air Station El Toro site owned by the city could match the size of San Diego’s Balboa Park when fully developed. The new sports park is part of the 713 acres developer FivePoint is building for the city in exchange for approval to build more than 4,600 homes adjacent to the park. That portion will also include an 18-hole golf course, trails, agricultural fields, playgrounds, open space and a wildlife corridor. The trails and open green spaces could open in the fall, Shea said. The 188-acre municipal golf course is expected to be completed by spring 2019. The Anaheim Ducks in February began construction of a 270,000-square-foot community ice complex and practice facility at the Great Park. The complex, the largest of its kind in California, is slated for a July 2018 opening. Moreover, the city is negotiating with Wild Rivers to open a 30-acre water park with an uphill water coaster, water slides and lazy river. That could be open by summer 2019. “I think we are going to see a large part of this park built in the next three to five years,” Shea said. Brian Foster, South Irvine commissioner of the American Youth Soccer Organization, said by email he hopes the new fields at the sports park will free up the city’s other facilities. “We are not expecting to receive any of the Great Park facility fields in our allocations,” he wrote. 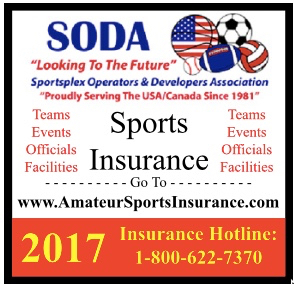 “I do, however, think it will have a huge role to play when it comes to AYSO in Southern California having facilities we can use for tournaments such as area, section, and state playoffs. “AYSO also holds a national tournament every year and the Great Park would offer the ideal location to hold this national tournament where AYSO teams from around the nation (and 6 international countries) could come and play,” he wrote. The Aug. 5 grand opening is 2-9 p.m. No RSVP is needed. All fields will open at 2 p.m., followed by a 3:30 p.m. ribbon cutting and a soccer match inside the stadium. During the day, there will be exhibitions on the soccer fields, tennis courts and volleyball courts. A new children’s play area will also be open. Food trucks will be on site 2-8 p.m.
A free family concert will begin 7:15 p.m. inside the stadium. Fourth annual Tehachapi, CA. Mountain Beer and Wine Fest is largest yet ! The Tehachapi, CA. – Mountain Beer and Wine Fest had its biggest year yet, as Saturday’s event was bursting at the seams at Benz Visco Sports Park. 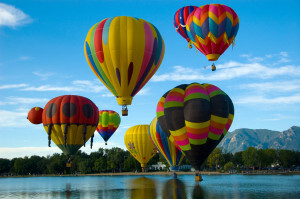 Now in its fourth year, the popular attraction drew large crowds from locals and tourists alike. “We are definitely higher than last year, but I have no idea what our numbers are today,” said David Brust, founder. Brust said he started working on preparing for the annual event last January with the help of his wife, Lillian, as well as numerous volunteers. The festival featured more than 140 crafted wines and beer, cuisine from some of Tehachapi’s most popular restaurants, live music from two bands, the Tracy People’s Project and Mento Buru, and lawn games. Brust said that all proceeds go to 14 charities, including Make-A-Wish Foundation, Tehachapi Rotary, Tehachapi Boy Scouts and others. As for ticket sales, Brust says he couldn’t be happier. “This is the most spectacular day in Tehachapi that we could possibly have,” he said. Your field has been through a lot this summer. Maybe your season is wrapping up, or maybe you’re hosting some tournaments. Either way, now is the time to show what you got. Your reputation is determined largely by how well your infield skin plays — at least as far as players are concerned. And that’s what really matters, after all. Players will remember if they’re battling bad hops. We have a ton of info available at Groundskeeper U, but some of the best is about nail dragging your infield to restore or retain playability. IN STOCK: Ships within 24 hours! Take out any rogue turf plants or weedscoming up in your skin areas. The Scuffle Hoe is excellent for edging, cultivating, aerating, and weeding field turf. Or just clean up your turf edge for a sharp, clean edge for a really professional look. Exclusive Scuffle Hoe, use hoe10 during checkout (offer valid thru July 23). IN STOCK: Ships within 24 hours! Durable 3″ thick all-rubber construction homeplate with a waffle-bottom design. Exclusive Schutt Bury-All Home Plate, use bury10 during checkout (offer valid thru July 23). SPORTSPARK EXPANSION TABBED AT $12.6 MILLION ! Fredericksburg, TX. 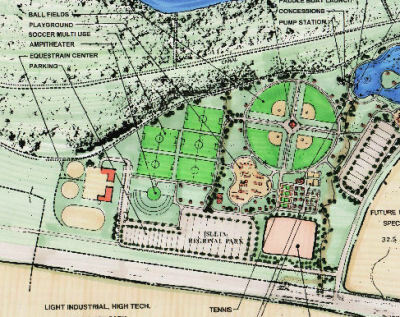 – City Council approved preliminary cost estimates for an Oak Crest Sports Park expansion, which are tabbed at $12.6 million. 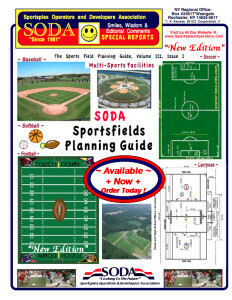 Improvements discussed at last Wednesday’s meeting include an additional nine soccer fields and six baseball/softball fields (various sizes), alongside parking and two restroom-concession-playground areas added onto the existing sports park. City will call a November bond election, sometime in August, to fund the project. Taxes are expected to increase around 3.5 cents (per $100 valuation) if the bond is approved by voters. As the 2018 fiscal budget nears completion, the city is expected to lower its rate in the face of rising property valuations. The proposed budget for next year includes a tax rate of .2242 (down from .24 currently), but that could change after budget discussions. The council considered phasing out the project in stages, but decided to instead try and get it all done at once. The November bond election will be called sometime in August. Dan Wegmiller, financial advisor for the city, was going to discuss bond financing costs and tax information during the July 17 council meeting, but decided to wait until Aug. 7. “This would allow him to use the new appraisal numbers which will result in a reduction in the tax impact for this project,” City Manager Kent Myers said. Dennis Sims, project developer with Dunkin, Sims, Stoffels, Inc., said changes to the plans include additional landscaping, batting cages and eliminating the walking trail (which can be added at a later date). The council approved phase two of the hotel and conference center project at “the Y” U.S. 290 West-U.S. 87 North fork. The second phase contains in-depth finance reports and the city will negotiate any economic development incentives. The center’s developer Murphree and Company, Inc., previously sent a “wish list” they hope to obtain from the city, including the extension of utility services, with totals well over $1 million. To help narrow down the developer’s wish list of incentives, the city approved spending $20,000 to hire Denton Navarro Rocha Bernal Hyde & Zech, P.C., attorneys and counselors based in San Antonio. State College residents talk action Sports Park at public hearing ! State College, PA – Borough Council held a public hearing Monday for the 2018-22 Capital Improvement Plan, but residents only had one project they wanted to talk about: the action sports park. The CIP includes a variety of projects — from those that are required to maintain infrastructure to those that improve the quality of life in the community. The plan recommends projects totaling $56 million over five years, with $5.9 million of that in 2018. The action sports park — listed in the CIP as having expenses of $5,000 in 2018 and $350,000 in 2018 — has been a contentious idea for a little more than a year now because Orchard Park was identified as the recommended site in June 2016. Council removed it as the preferred site in August and directed borough staff to identify other possible sites, borough Manager Tom Fountaine said at a council meeting in June. “We do not want our beautiful, diverse and multiuse green space in Orchard Park paved and made into a single-use facility,” said Christopher Jones, who lives in the Greentree neighborhood near the park. He asked council to remove the action sports park entirely from the CIP. Jim Milutinovic, also a Greentree resident, said he’s in favor of the borough or Centre Region Parks and Recreation pursuing the possibility of a skate park, as long as it’s properly placed — not in a residential area. Milutinovic asked council to remove Orchard Park from the list of potential sites. He proposed the idea of an action sports park several years ago. “We’ll do this the right way for future generations in our community, leaving us all with a sense of pride,” Bestwick said. The final approval of the CIP is scheduled for July 17. New offerings arrive at the concession stand ! FJI offers a select roundup of new products and innovations that are making the movie concession stand more diverse and exciting. American International Concession Products (AICP) introduces Sour Patch Kids Tropical, the first new Sour Patch flavor assortment in over six years. The tropical flavor assortment is huge among teens. Sour Patch Tropical recently launched in a 3.5-oz. theatre and 5-oz. peg bag. If you’re interested, reach out to Steve Sciortino by e-mail at steve.s@aicpcorp.com or by phone at (800) 401-2427, ext. 706. Cinema Scene and GoldenLink continue to bring innovation to their Licensed Movie Promotions, with the launch of their newest promotional product in conjunction with Warner Bros.’ fall blockbuster Justice League. Cinema Scene and GoldenLink are also bringing more excitement to the concession stand with innovative Hexagon-Shaped Movie Graphic Drink Bottles. To find out more about Cinema Scene’s full range of high-quality promotions and concessions items, contact Lacey Gruenebaum at Lacey.Gruenebaum@visionmedia.com. EOMAC presents an exciting new product that not only complements your concession area, but the entire theatre design. Wood slatted light boxes are versatile and showcase the look of real wood while adding elegance to your lighting solutions. The view side of the panels are finished with a top-quality, hand-selected wood veneer and finished in a premium clear lacquer over a three-stage process, ensuring only the highest standard and durability. Come see how EOMAC wood slatted light boxes are an attractive addition to any cinema area. Visit booth #203 at the NAC Expo or www.eomac.com. America’s #1 selling gummy worms, Trolli Sour Brite Crawlers, are now available in theatres! Gummies are the fastest growing non-chocolate category, and the best way to capture that market is with the top-selling gummy worm. Ferrara’s peg bag leads the category. A natural complement to cinema concession stands, gourmet popcorn enhances the moviegoing experience. The wide variety of flavors produces increased sales opportunities with profit margins of 70 to 80%. It’s not labor-intensive for employees. Customized set-up options include everything from standalone kiosks to integration with existing foodservice operations. Discover Gold Medal’s full product line, including poppers, cooker mixers, tumblers, merchandisers and more. Plus, they offer a large variety of flavor options from cheese pastes to glazes and shake-on flavors. See a selection of their equipment on display at NAC, along with some delicious taste-testing! Explore the complete catalog online at www.gmpopcorn.com. Great Western Products’ hands-free popcorn bucketis auniquely shaped design variation on the original popcorn bucket. It fits into the cupholder of a movie theatre chair, eliminating the need to hold it. After nearly 25 years, aka a quarter of a century, RCM Media decided that the round printed tub had seen its day! The industry was ready for something different and RCM delivered. The 170 Square Plastic Collector Tub has four unique panels which are a perfect vehicle to design a true movie graphic collectible that patrons really like, based on the success of the first several movie graphic themed tub programs. These include Guardians of the Galaxy, Fast 8, Transformers and most recently Despicable Me 3 and the highly anticipated Spider-Man: Homecoming. Sassy by Nature is a unique and delicious concession alternative featuring adult flavors—Bourbon Pecan, Grand Marnier Chocolate Truffle, Captain’s Rum Raisin and Cappuccino Kalua. Traditional flavors include Crazy Cake, Cookie Dough, Salty Caramel Praline and Chocalate Fantasia. While the adult line features liquor flavoring, minors can indulge, as it is not liquor-infused. It’s specially prepared by Working Cow Homemade, which has been producing since 1993 with butterfat content that is sure to please. This incremental item has great profit margins and the timing is perfect for the wave of high-end reclining-style theatres, along with traditional ones. For more information, contact Steve Felperin at 561-413-5499. Building on its success in the cinema concession space with its distinctive soda cups and popcorn containers for such blockbusters as Guardians of Galaxy, Fate of the Furious and Spider-Man, Zinc has created a fun way to support your favorite sports team. Zinc’s mascot drink cups are designed to attract more patrons and increase your profit by creating excitement and adding value to your concession program. Fans are sure to love them ! 7 Of The Best Places To Eat At Nats Park ! VIRGINIA COUNTRY KITCHEN: Any Virginia boys and girls worth their salt (raises hand) remember ham biscuits. The ones here tend to fall apart after the first bite, but it’s worth it. A smear of apple butter cuts the salty richness of the ham. The chicken biscuit is pretty good, too, featuring a fried chicken filet. An underrated item here is the Virginia Crunch, a Cracker Jack-like sweet snack enlivened with bacon. If that wasn’t enough to get you there, wash it all down with several of the Virginia beers on tap, or go big with a new item this season: the country-fried steak biscuit. Batten down the hatches. Virginia Country Kitchen is in sections 114 and 308. SHAKE SHACK: You better be ready to wait in line—and not just any line, either, but one of those back-and-forth, roped-off ones they have at amusement parks. But if you put in the time, you will reap your reward. Try the SmokeShack, made with cherry peppers, bacon and the famous ShackSauce. The peppers give it a nice zip without overwhelming the beefiness of the patty or the creamy tang of the sauce. The vegetarian ‘Shroom Burger, featuring a “crisp-fried portobello mushroom” at the center, is another good option. But this place is not called the Burger Shack. They also have desserts made with frozen custard, a denser form of ice cream. You can’t go wrong here, but the best choice may be the concrete laced with toffee, chocolate sprinkles and malt powder. Shake Shack is located in section 241. JAMMIN ISLAND BBQ : If you want something where the line is a little less DMV-like, you should check out Jammin Island. It also happens to be the best barbecue in the park. If the name of the place got a Bob Marley song stuck in your head, that’s probably not an accident. The signature items here are infused with jerk seasoning, that famously Jamaican blend of herbs and spices. The ribs are succulent, the chicken is moist, and the portions are big. And don’t sleep on the sides, either. The plantains, in particular, are great. SEE. YOU. TATER: The name is a play on Nats broadcaster Bob Carpenter’s “See! You! Later!” home run call. It’s a new addition to the concessions lineup this year, and it’s already making a big bang of its own. So what might you expect from this delightful pun? Baked potatoes? Boardwalk-style fries? Nope. Chicken wings. It’s true, tater tots are the cornerstone item. Aficionados can indulge in a tot tower, which sees the little spud cylinders covered with everything from crab meat to corn to macaroni and cheese. They’re good, but they can get pretty salty, and may leave some people feeling like they drank from a cement mixer. The smarter money’s on the wings. The Old Bay wings are zesty goodness, as are those done in the classic Buffalo style. They’re meaty, but they’re also messy. Might want to grab a few napkins. See. You. Tater. is in section 106. CHESAPEAKE CRAB CAKE COMPANY: Crab cakes are not just for Orioles fans. The Baltimore treat has a pretty solid pedigree in the District, too. The basic crab cake sandwich here—generously portioned but pricey at $17—is available, as are a few other, more light-hearted offerings.Crab balls are fun to eat, as are the nachos—house-made potato chips smothered in queso and corn to complement the crab meat. The big winner might be the crab grilled cheese. Picture a tuna melt with crab meat instead of Star-Kist and brie instead of Kraft Singles. Chesapeake Crab Cake Company is located in section 114. G SANDWICH SHOP BY MIKE ISABELLA: This mini-restaurant from the Top Chef celebrity—a spinoff of the larger shop on 14th Street—continues a culinary trend of putting fancy (and delicious) spins on humble, everyday concepts. (Isabella also runs two others concessions in the park: Catchfly focuses on barbecue and Kapnos specializes in gyros.) In this case, that concept is the corner sub shop. You’re not getting any flaccid BLT in this place. In fact, you really can’t go wrong with any of the items. Fair warning, though: the lines are long and the prices are higher than elsewhere in the park. Plan accordingly. The investment pays off with the saucy, toothsome chicken parm, held together well with a sturdy, sesame-seeded bun that has itself become something of a celebrity among local foodies and Isabella devotees. The Drewno features house-made kielbasa sausage and sauerkraut. 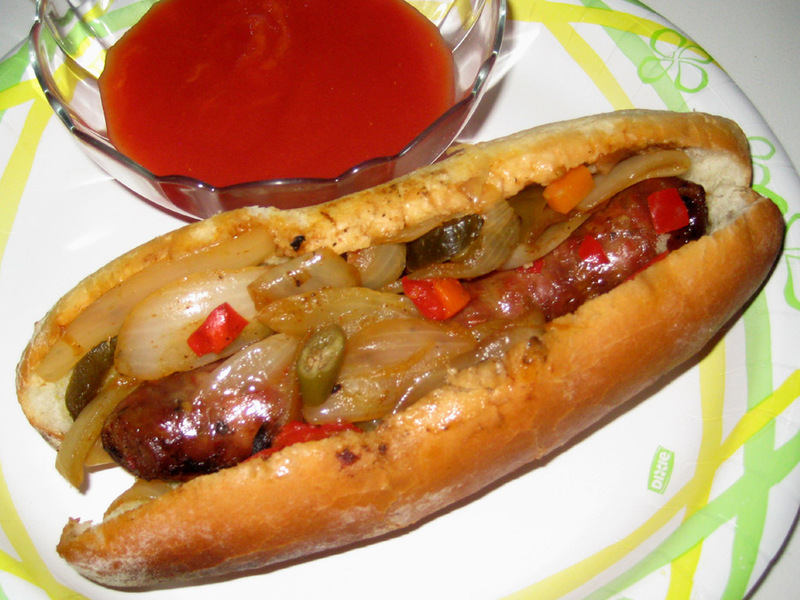 The snap of the sausage and the crunch of the sauerkraut really make it. The best fun on this menu may be the delicious roasted cauliflower sub. Intensely flavorful and as filling as any meatball grinder, it’s probably the best vegetarian dish in the park. G Sandwich Shop by Mike Isabella is in Section 136. ON RYE: Everyone loves a good closer. Since the Nationals don’t appear to have one on their team right now, we must instead look to the sweeter side of the concession stand. The best dessert in the stadium can be found at On Rye, which sells the chocolate babka ice cream sandwich. If you’re a cultural know-nothing like me, your biggest frame of reference for the babka is a Seinfeld episode in which Elaine tries to purchase one for a party and is thwarted through various mechanisms. Babka is a dense, bready cake swirled through with either chocolate or cinnamon. On Rye takes two slices of the cake and fills them with vanilla gelato. Last season, these were only available on the club level. But this season, everyone in steerage can have a taste, too. Good move, Nationals. These sandwiches are decadent, but not so heavy that they aren’t refreshing on a hot day. Also on the menu? Push pops. But not those ones with the orange sherbet and Flinstones characters on the side. Gelato is the star again, this time in combination with bourbon and cinnamon flavorings or with bits of black-and-white cookie. Hey, maybe they’re Seinfeld fans, too !